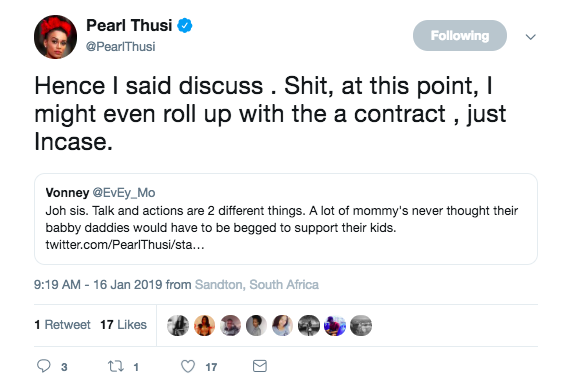 Following Gqom Nation presenter, Ntando Duma’s accusations against the father of her baby, Junior De Rocka, fans and celebs have been voicing their opinions. 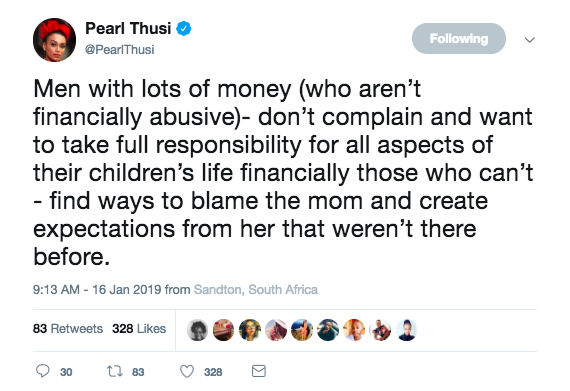 This week, the former Rhythm City actress alleged that Junior abused her when they were still in a relationship, and claimed that he's an absent father to their one-year-old daughter. 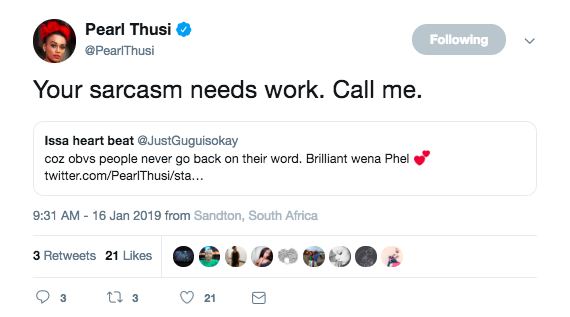 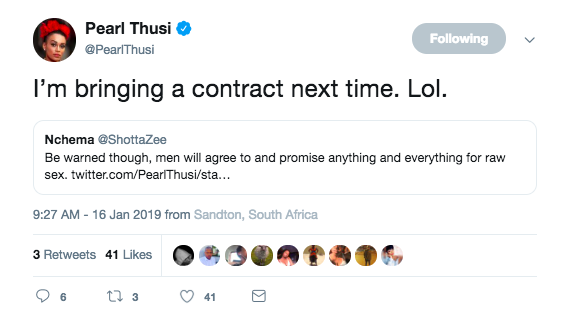 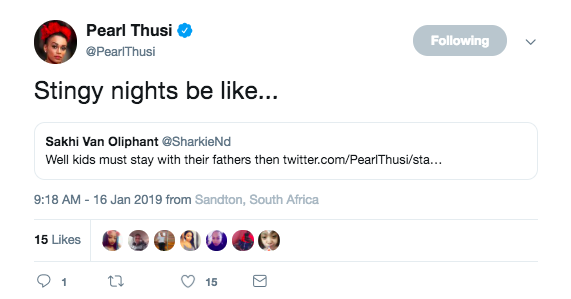 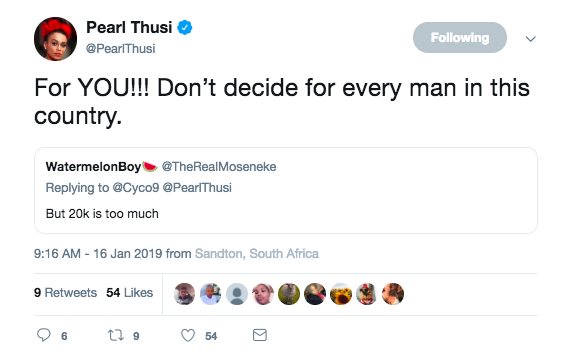 In most cases, when it comes to trending topics, we expect media personality Pearl Thusi to share her views, and yet again, she has taken to her timeline to weigh in on Ntando's social media outburst, which led to Junior attempting to defend himself. 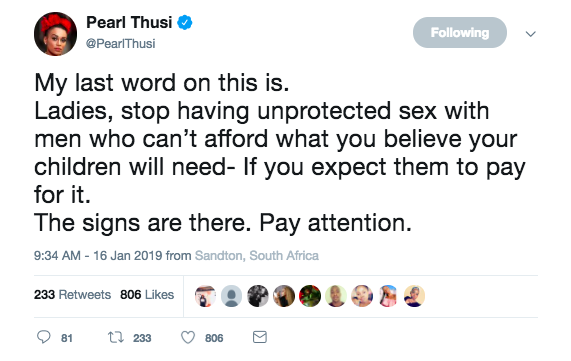 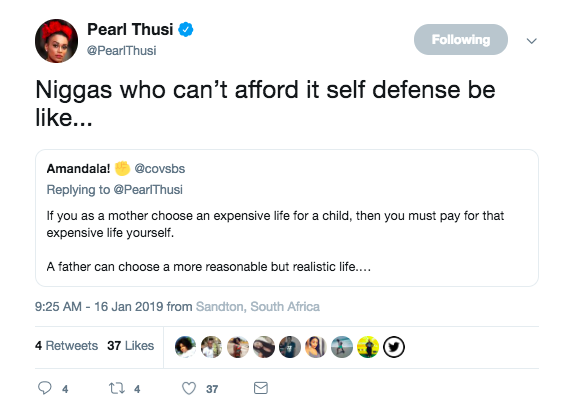 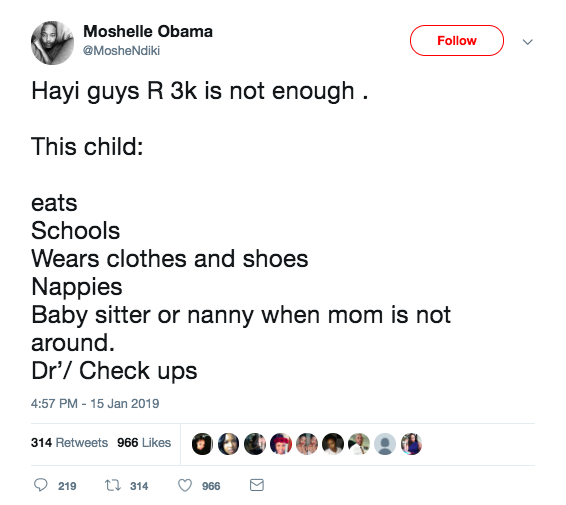 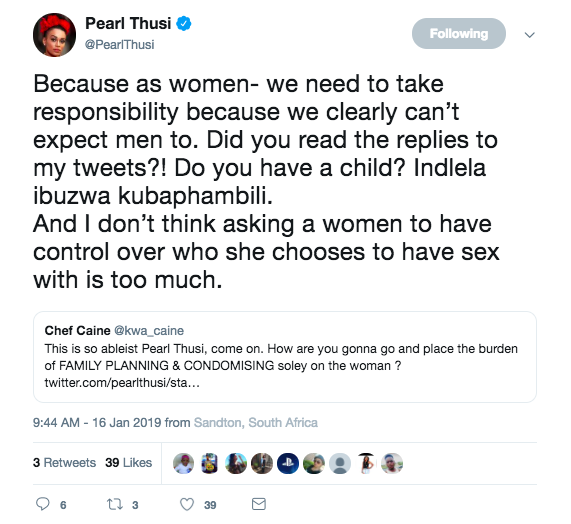 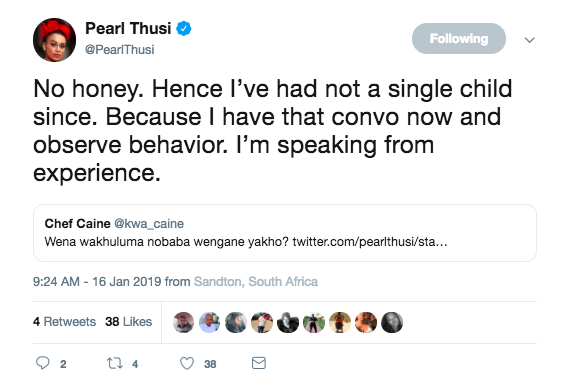 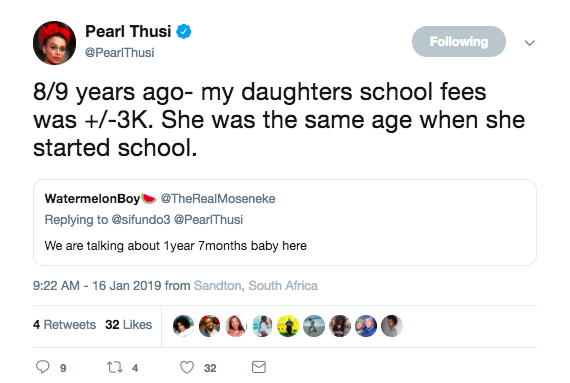 In a series of tweets, Pearl expressed that she sympathised with Ntando, as receiving R3 000 to take care of a baby would simply just upset her because the cost of living is too high.